After our favorite airline captain/therapist extraordinaire Tom Bunn was nice enough to tell us everything we wanted to know about flying, we came back to the man to further our fear of flying and inquire about ways people could die on airplanes that aren't crashing. Turns out there are a few. Hoooraaaaay. When you're sitting for hours in the same cramped position, it's pretty easy to get deadly blood clots, called Deep Vein Thrombosis (DVT). Since your veins rely on your leg muscles to push it back to your heart, your blood doesn't move much and can clot really easily. "Usually, but not always, a clot will cause pain, signaling the need for medical attention," says Captain Bunn. This can be prevented by simply getting up and walking around during long flights and simply raising and lowering your heels while keeping your toes on the floor. Dr. Bunn continues, "One study shows that frequent fliers are 3.65 times more likely to develop DVT than non-fliers. 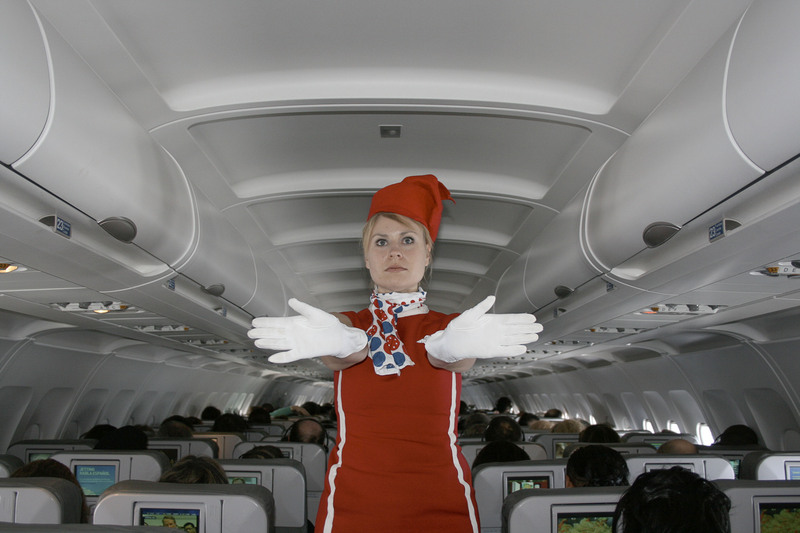 A non-profit DVT organization at www.airhealth.org reports that three to five percent of air travelers will develop clots. Yet, it is unclear how big a role flying plays in causing these clots. Whether in the air or in a car, it is good to take a break, stand, and stretch every couple of hours." Also, try to avoid the window seat. A plane is a sealed metal box with giant engines that burn a ton of fuel, so smoke is a legitimate concern. According to Captain Bunn, "In most accidents, smoke, not impact, is the problem. In case of a smoky evacuation, count the seat backs to find your way to the exit. If you fly a lot, invest in a smoke mask that guarantees breathable air even in smoky conditions." One particularly terrible accident, a freak fire in the bathroom of Air Canada Flight 797, forced the officials to update safety requirements by adding smoke detectors in the lavatories after over half the passengers died from inhaling fumes. 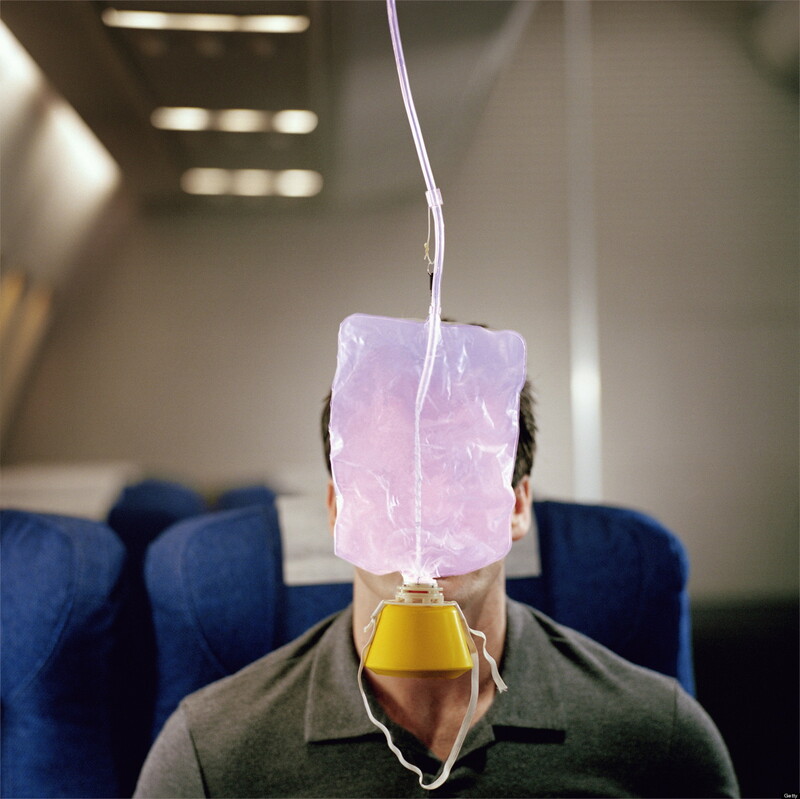 A plane is a hotbed for dehydration—the extremely dry canned air, the booze, and the altitude don't help much. "The humidity is so low that you lose water through your skin and when you breathe," says Bunn. Try to avoid coffee, soda, juice, tea, and alcohol—but feel free to try to sneak on pot, because it's not that hard. Drink water. Okay sure, it's more of an issue if you're the pilot, but it's still important to stay hydrated. 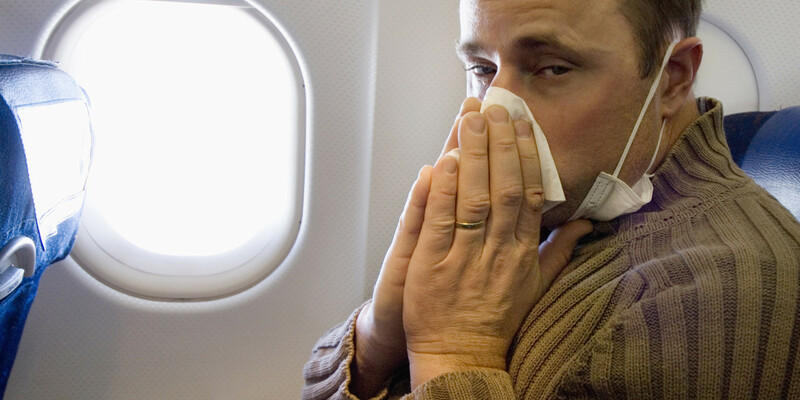 Bizarrely, an airplane is not the worst place to get sick. "If you need medical attention in a hurry, an airliner is the right place to be," says Bunn. "You will get help a lot quicker onboard than in most hospitals. A flight attendant makes an announcement asking if there is a doctor on board. There usually is. In the cockpit, there is a medical kit—not just a first aid kid—with items a doctor may need to treat a heart attack, an asthma attack, or other common medical emergencies. The kit is made available as soon as the doctor's credentials have been checked." I didn't realize doctors had credentials. I will now ask for them on a regular basis. Pilot-Doctor Bunn says yes! And one doctor has responded five times to 'Is there a doctor on board the plane?'" "If there is not a doctor on board, the backup would be a nurse or an Emergency Medical Technician. In the cockpit, the captain has radio access to one of the doctors the airline keeps on standby," says Bunn. So, worst case scenario, a doctor's advice is always available. "If the passenger needs to be hospitalized, the flight dispatcher compares the position of the plane with nearby airports, and the distance from each airport to a hospital. The best combination is selected. The plane diverts. An ambulance is waiting when the plane lands." See, guys? Nothing to worry about. Just blood clots, smoke inhalation, and dehydration. Jeremy Glass is a writer for Supercompressor during the day and and sometimes at night, too.